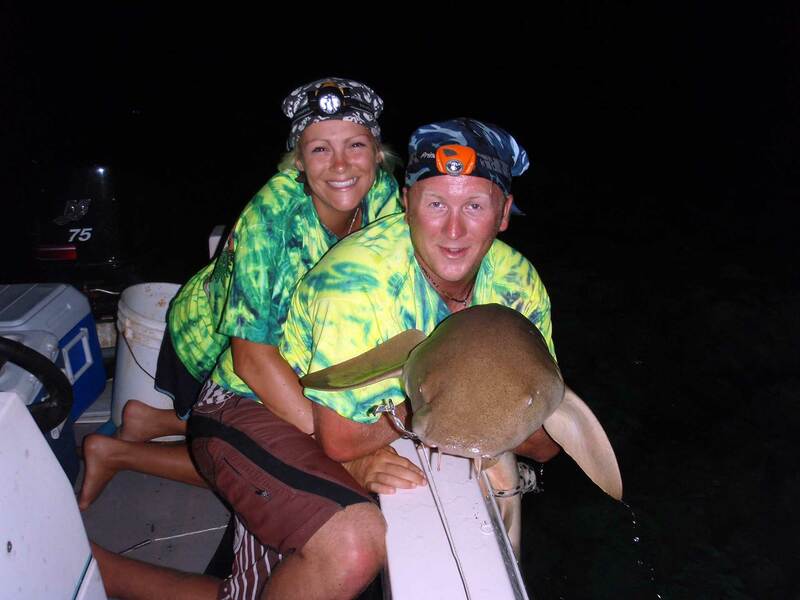 I first worked with the lab in 2004 on the Marquesas juvenile lemon shark project. I joined again in 2005 for another Marquesas shark tagging trip. I assisted with several film projects at the lab in 2009 and then Duncan and I both returned to fill in as assistant managers for a month in August 2009. The first time I met and worked with Doc I had dark hair. I returned a year later with very blonde hair and Doc asked me if I had been spending a lot of time in sun? I explained that it was not sun, but bleach that had changed my hair color and a lot of it! We had a good laugh. 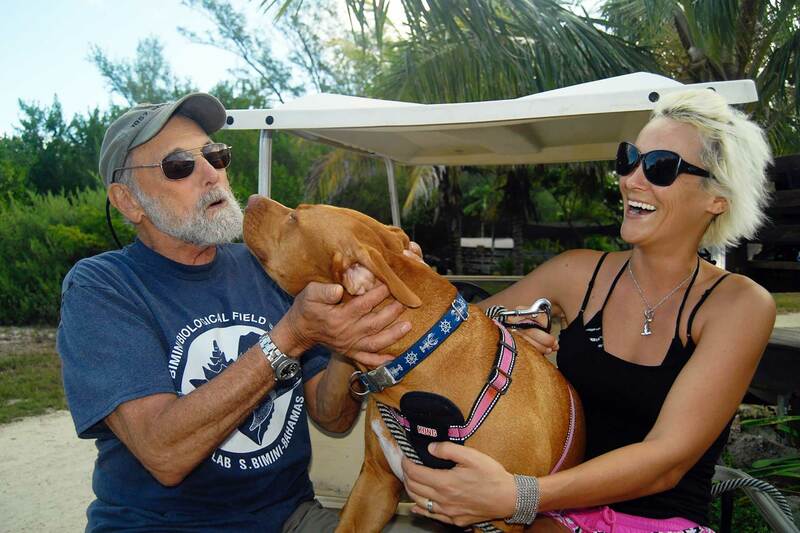 Doc has a great spirit about him and his love for sharks is contagious. Seeing someone care so deeply about something and devote their life to it is a fairly rare thing, so spending with Doc is always filled with moments I will never forget. 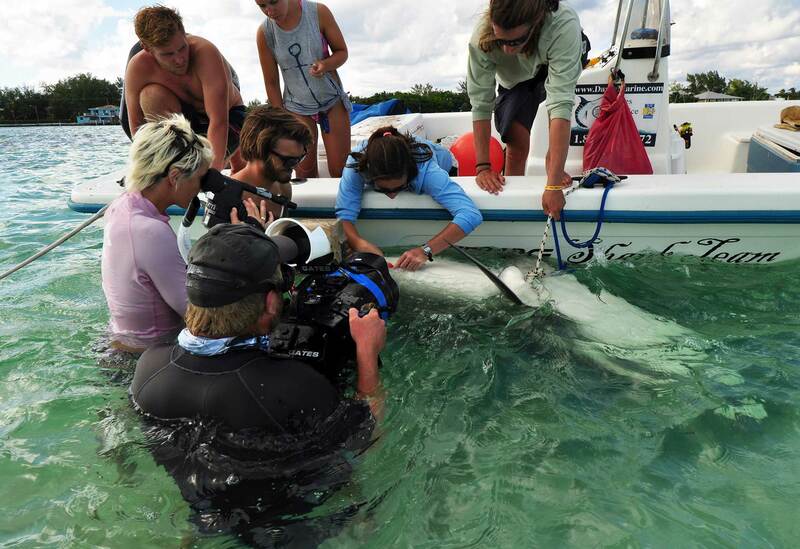 Great stories, lots of laugh and ground breaking shark science; it doesn’t get much better than that! This and filming a female give birth to ten baby pups are probably my favorite Sharklab memories. My time at the lab and meeting Doc provided me with some of the most remarkable experiences of my life and introduced me to so many amazing people, including my husband. Together Duncan and I have made our dreams of filming around the world and of creating shark education media a reality because of our time and experience at the lab. I love our life in Bimini and that we will still work with the lab on a regular basis. The lab is our second home and everyone there is like family.